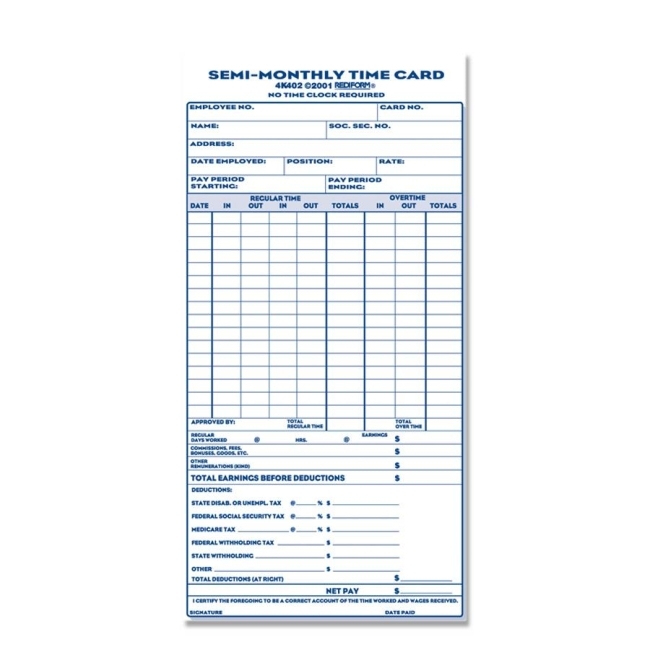 Pads in semi-monthly format provide a durable, convenient record of employee hours. 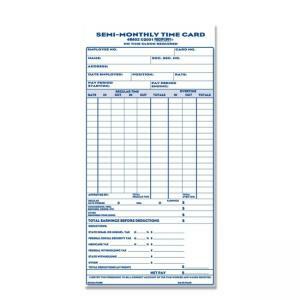 The 100 card pads stay neatly together until needed. Manila stock. Unnumbered.